Notes: This pattern was designed by A.K. Best while trying to match the caddis hatch on the St. Vrain River in front of John Gierach's house. It has become a very popular caddis pattern throughout the North America and is adaptable by size and color to match most caddisflies. 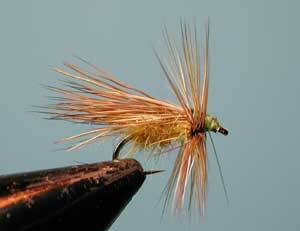 The yellow is a good pattern for Little Yellow Stoneflies if the hair wing is tied sparsely. 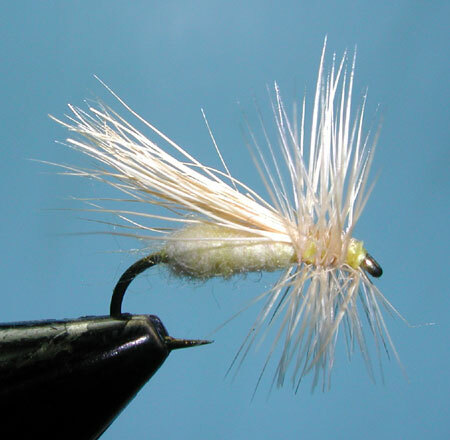 Olive and Medium Brown colors are also popular for caddis.